DPSS [diode pumped solid state] blue laser pointers, available since 2006, have the same basic construction as DPSS green lasers. 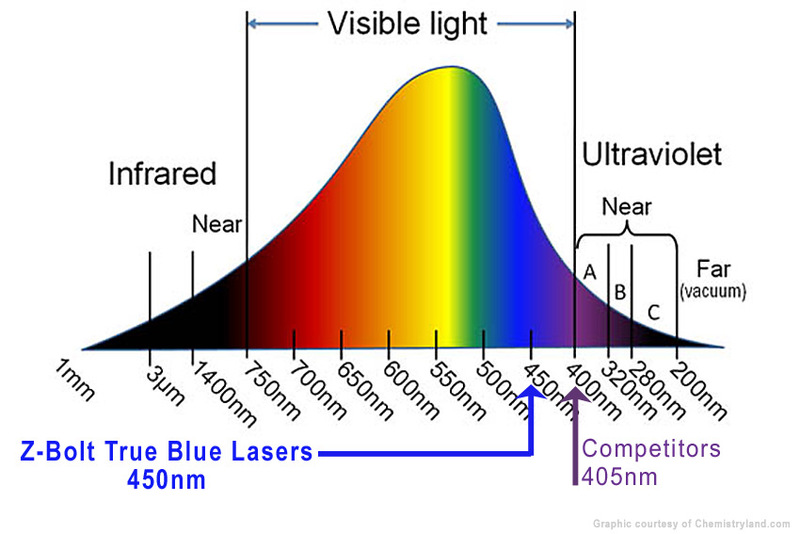 They most commonly emit light at 473nm, which is produced by frequency doubling of 946nm laser light from a double-pumped Nd:YAG or Nd:YVO4 crystal. 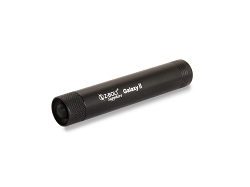 Complex and very expensive, these DPSS blue laser pointers can be rarely found for less than $500. These lasers also emit dangerous infrared light if an IR filter is not present. We have a better way! Z-Bolt® Sapphire Series laser pointers are fabricated with InGaN semiconductors, which emit blue laser light without frequency-doubling. Less complex, easier to manufacture in numbers, and much, much less expensive. Don't spend $500 for a DPSS blue laser pointer, or $15 for a 405nm "blu-ray laser pointer" that is neither "blue", nor a "laser pointer". The purple/violet light from a 405nm laser is barely visible to the human eye and worthless for applications that require an actual pointing device. Z-Bolt® manufactures seven (7) Sapphire Series blue laser pointers. Shop and compare!